ICE 2019 will be the launch pad for exciting new Cat C products from Electrocoin targeted at both the single site and arcade sectors. the Elektra cabinet alongside the already successful Monte Carlo unit. “After listening to operators and players alike, we have developed Casino Hi Roller to offer similar games to the Monte Carlo, but instead of having the intrail feature Casino Hi Roller will have an exciting gamble feature, so a small win of £1 could turn into £100,” said Electrocoin’s John Stergides. 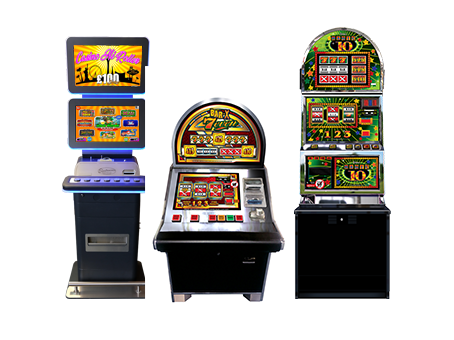 Both Casino Hi Roller and Monte Carlo will offer a multi game digital concept – including a variety of games targeted at both single site and arcades, with both Hi tec and Lo tec games already proving to be popular across both sectors. The game library will feature 20 titles overall, presented on a new screen layout which enables faster selection by the player. The on-screen menu can host up to 18 games that can be made available at any one time. For ICE 2019, both Monte Carlo and Casino Hi Roller will feature new games including Tombs of Gold and Viva Cash Vegas. These will be presented alongside the current menu which also features some old favourites from both the analogue and digital back catalogues. Making its show debut will be the new Magic 10, an old time classic which follows on the success of Bar-X 7even revival last year. With its original game play, 25p/30p game play and £25 Jackpot in a Casino and Sit down cabinet as is the Bar-X 7even, it is already proving to be a crowd pleaser. Also presented at ICE will be the new Spin Gaming B3 machine along with the latest Bar X Tablet Cat C System and Bar X 7even Cat D Infill. Electrocoin will also be displaying a selection of games which will include Skill Cut, Drop A Winner and The Beatles pinball.